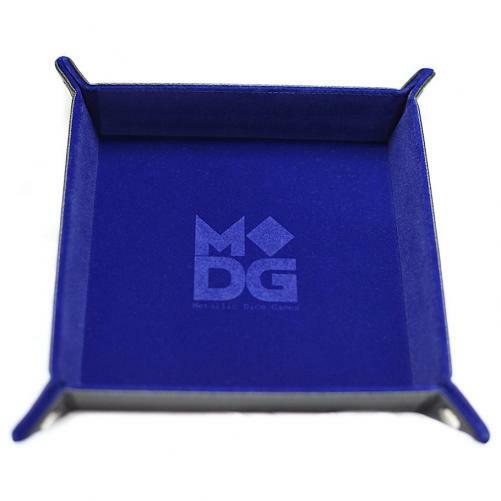 Fill in your details below and we will let you know within 24 hours if we can get Velvet Folding Dice Tray with Leather Backing: Blue to you with haste! Protects your gaming surface, and controls your roll too! Never worry about your gaming table or your dice again. Our high-quality dice trays fold flat to fit in your folder or backpack, and easily snaps into shape when you’re ready to game. A must-have when you’re gaming outdoors! Measures 25 cm X 25cm when flat and 17cm X 17cm when set up as a tray.